There were A LOT of tears! Tear shed started when I started getting bullied over my hair in elementary school. Then there were tears from getting a brush ripped through my curls, to the burn marks from trying to straighten out the curls. It was all incredibly frustrating. And in the end, I honed in my skills with a flat iron and very few people ended up knowing I had curly hair. I recently had a baby and two things happened. One, I noticed I was getting bald spots along my hairline from wearing my hair up EVERY SINGLE DAY. Two, my daughter was about to turn a year old and I saw one single curl pop up on the back of her head and knew I just couldn’t watch her go through the same frustration that I had experienced my whole life. 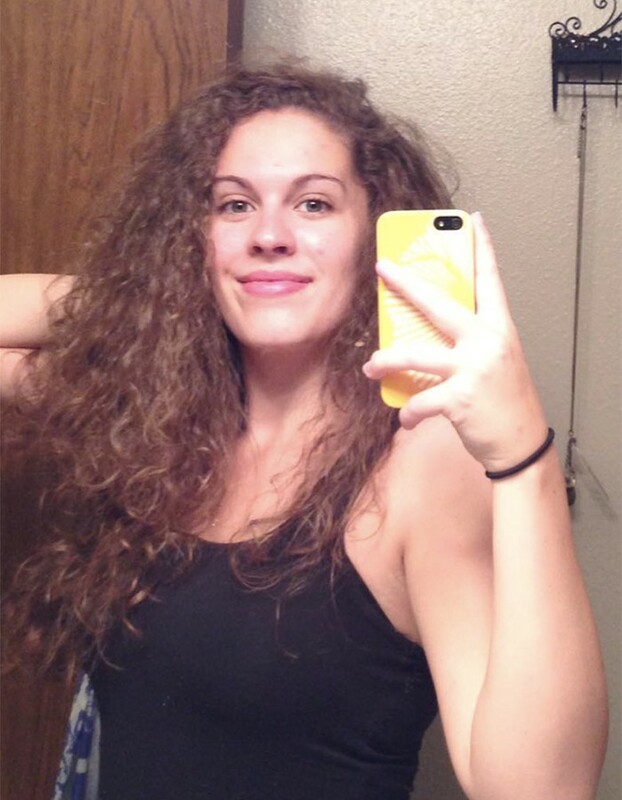 So I set out to find an answer of how to embrace and properly take care of my natural curls. 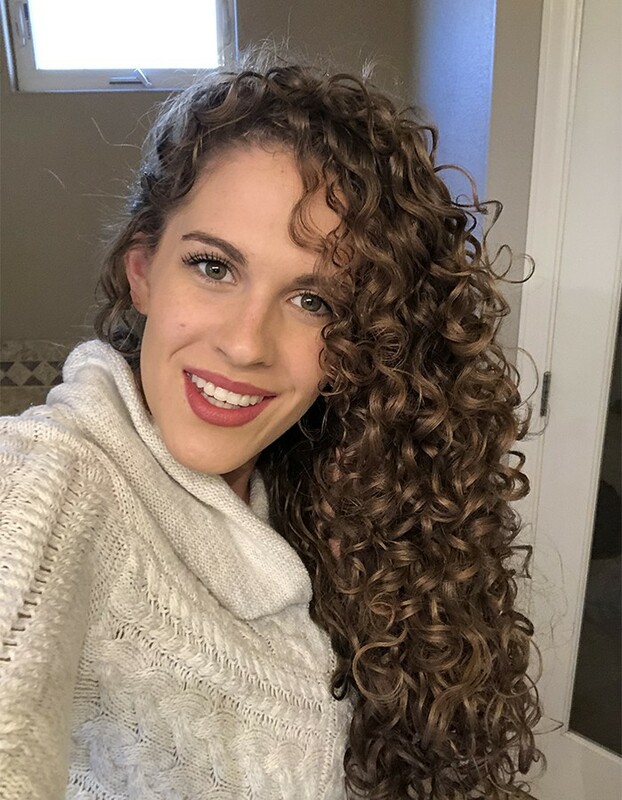 100% helping other curlies!! 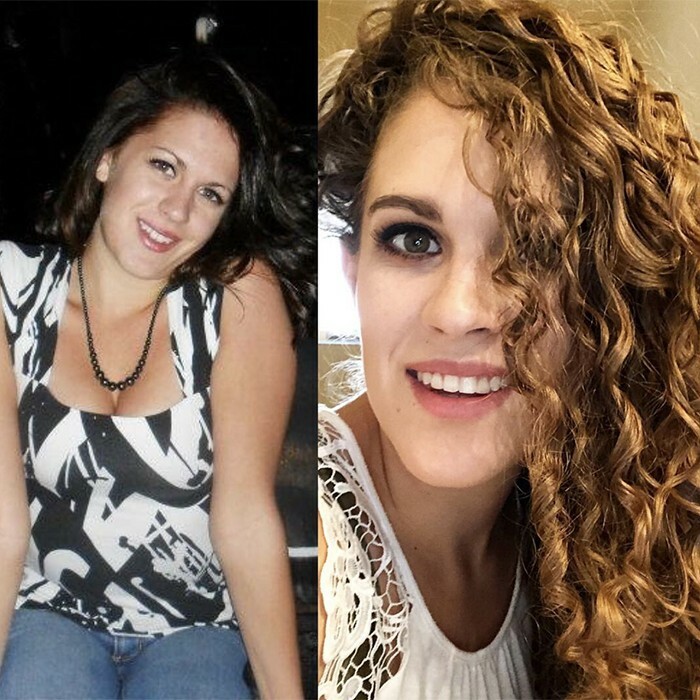 When I discovered the Curly Girl Method I was in SHOCK that this knowledge had been around my entire life and I was just now learning about it!!! So I decided to start an Instagram account as my own little way of “shouting from the rooftops” that there is a way to embrace and love your curls!! Getting to help others see the beauty in themselves in their natural state is by far the most empowering and important thing I’ve ever done. Most of the time I’m lazy and just pineapple it and sleep on my silk pillowcase. But if I’m really wanting my wash day to last I apply a bit of conditioner to my ends and tie it up in a silk scarf. My first thought is to say Ayesha Malik, but the further I get in my journey the more I become my own curl crush! It may sound vain, but it has taken me my whole life to learn to love and embrace my curls and I’m not afraid to be prideful of them. My Denman brush!!!! My hair never wants to clump and can really struggle with definition, but the Denman always comes to the rescue, giving me big juicy curls! Currently, I have been on an experimental kick! I’ve been switching it up and trying out a bunch of new brands and techniques, but my tried and true go-to routine is very simple! I wash with Not Your Monther's Pink Shampoo, condition with GVP Conditioning Balm (this is my holy grail, I’ll never quit it), squish to condish and rinse, add a bit more gvp conditioning balm as a leave-in, brush through with the Denman brush, plop for 5 min, apply Moptop Curly Custard, a tiny bit of Aussie instant freeze gel, diffuse, scrunch out the crunch, and fluff! 100% figuring out my protein moisture balance, and that my hair hates coconut oil. I had about a month where I was in protein overload. My hair was so dry it felt like straw. It was brittle and breaking. Oh and the tangles!!! The tangles were the worst! I would spend about 45 minutes trying to detangle my hair in the shower. Most wash days would end in tears because I was so frustrated. I was on the verge of giving up, but then just at the right time, I read all about protein vs moisture and it completely changed the game for me! I figured out how to regain the balance and my hair sprang back to life! It was soft, defined, and most importantly.... not a tangled mess! Squish to condish!! I didn’t realize that it could be so hard to get moisture into my hair. When I learned this method, struggling with moisture became a thing of the past. Give yourself grace. Learn to love yourself for who you are, and not who you think the world wants you to be. You are uniquely and beautifully made, and the world needs you just the way you are!